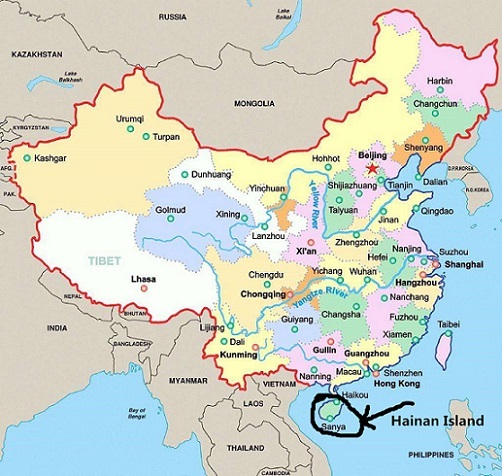 Hainan Island, separated by the Qiongzhou Strait from the Leizhou Peninsula of Guangdong Mainland China, is the second largest island in China with a land area of 32,900 km2 (12,700 sq mi) after Taiwan. 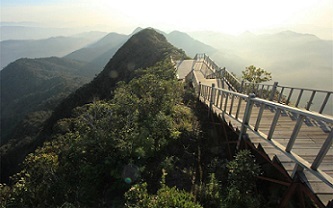 Wuzhishan Mountain in the middle of the Island (1,840 m) is the highest mountain on the island. 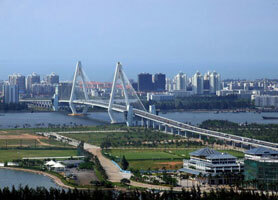 Hainan Island measures 155 km (96 mi) long and 169 km (105 mi) wide. 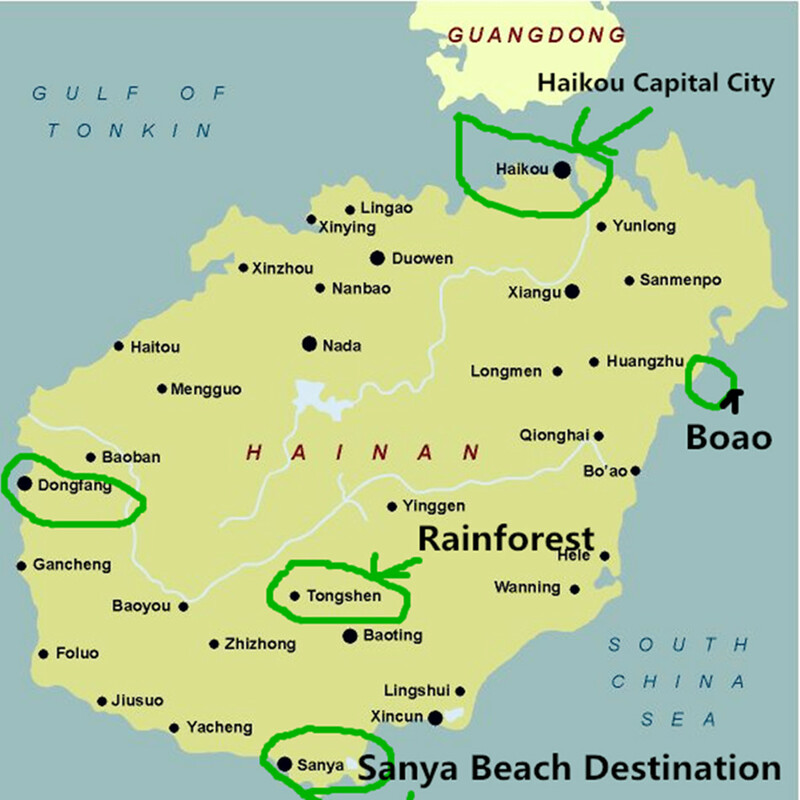 Hainan Province is the smallest and southernmost province of China from 1988, consisting of various islands in the South China Sea. 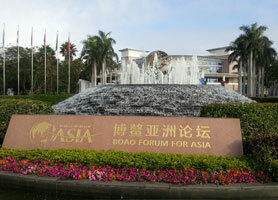 When we talk about Hainan, we mean the major Island Hainan Island. 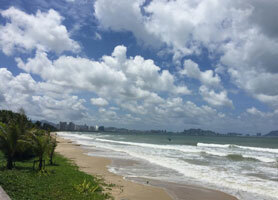 The climate of Hainan Island varies from subtropical to fully tropical. 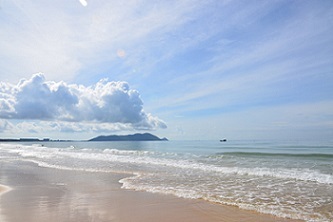 Northern Hainan, including the island’s capital city Haikou, Wenchang, Qionghai, Dingan, Chengmai, Linggao has a humid subtropical climate, while southern Hainan Island, including Sanya, Lingshui, Ledong has a tropical monsoon climate with warmer annual temperatures. 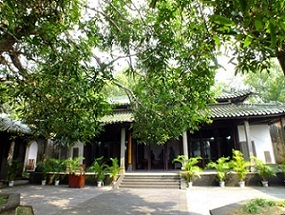 The middle part of Hainan Island is also subtropical including Wuzhizhan, Baoting, Qiongzhong. 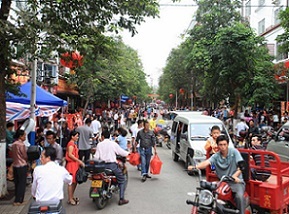 The coldest months on Hainan Island are January and February when temperatures drop to 16 to 21 °C (61 to 70 °F); the hottest months are July and August, and the temperatures are 25 to 29 °C (77 to 84 °F). The summer in the north is hot and. For more than 20 days in a year, the temperature can be higher than 35 °C (95 °F). The average annual precipitation is 1,500 to 2,000 millimeters (59 to 79 in) and can be as high as 2,400 millimeters (94 in) in central and eastern areas, and as low as 900 millimeters (35 in) in the coastal areas of the southwest. 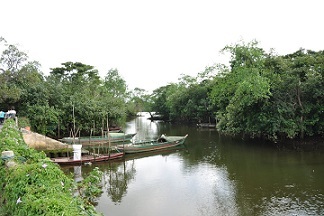 Eastern Part of Hainan lies in the path of typhoons, and 70% of the annual precipitation is derived from typhoons and the summer rainy season. 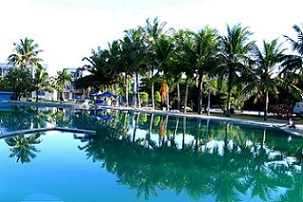 So to visit Hainan Island for great sunbathing, you should come during the summertime Aprill till October. If you wish to stay away from the coldness on Mainland China, you should come during winter time from November till March.